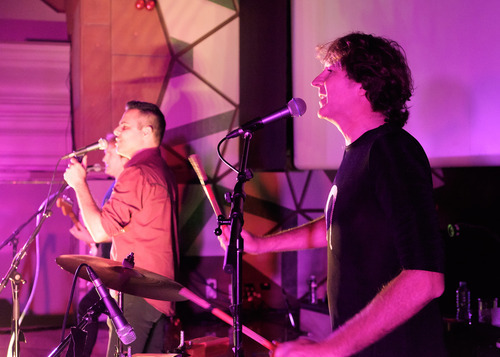 Well Canberra came and went in a heartbeat, but you can catch up with some of our work (the quick, freezing, web-streamed gig on the side of Mt Ainslie) here: Ologism on Mt Ainslie. Since then we spent some time in the recording studio, which is always good fun. Next, we travel north. If you’ve never been to the Northern Territory, we highly recommend it to you and if you’re from anywhere south of about 30o, then this is a fantastic time to go. 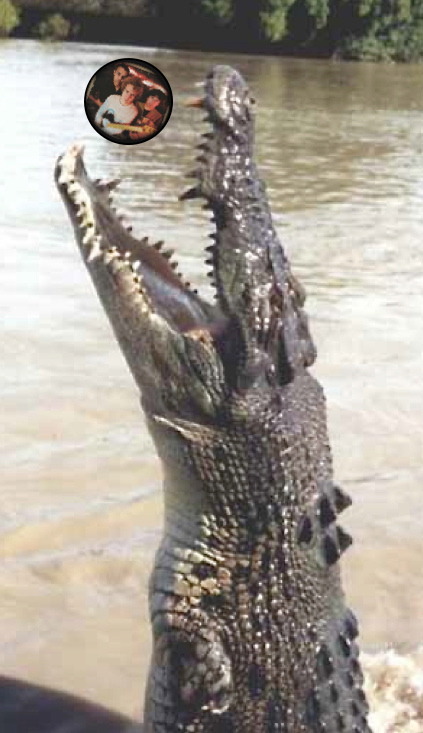 Warm air, plenty of sunshine, great people, beautiful sunsets, crocodiles; this is going to be great. If you’re already up that way, you’re very fortunate and we’d love to see you at the Darwin Railway Club on 8 June. The idea of doing a gig at the Dish was pretty exciting since it was first suggested late last year, and the doing was even more ace than we had imagined. From the first moment we saw the edge of the Dish appear from across fields of red earth and green crops bathed in morning light, we could sense that this was probably going to be special. We watched as people arrived in cars, buses and campervans, explored the visitor centre, chatted excitedly and spent moments of silence just looking up at this majestic piece of infrastructure. Over the next few days we, too, would spend many moments (often stretching to minutes) to simply look and wonder. A dish 64 metres in diameter looks a lot bigger when you’re underneath it, yet it is an infinitesimally small speck in the universe gathering cosmic secrets day and night. 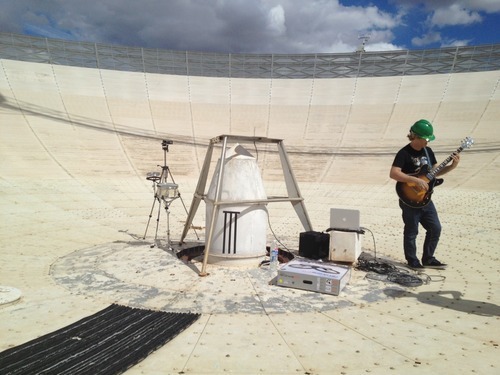 We were granted permission to do a short web-streamed gig in front of the Dish. This was a rare opportunity, because the entire site is a transmitting device-free area. You can watch a recording of the gig here. Immediately prior to doing this short gig we were taken on a tour inside the telescope and met a couple of the scientists who were preparing to begin that night’s observations. This whole thing was great, from the internal décor (much of it wonderfully retro) to the very wide range of computing technology, to the internal mechanism and outside deck/gantry. The web gig went well, but there was more in store. We spent the next day shooting a music video clip. We can’t tell you how entirely awesome it was to be up on the dish playing music (even if it was the same song over and over again). It was also pretty damned hot on a big white surface with next to no shade, but it was worth every drop of sweat and every patch of slightly sun-burned skin. We hope to have the video finished in a few months. We were fortunate to enjoy a “hayride” on and off the dish, which was good fun in itself and a lot easier than the stairs. Until that point we hadn’t seen the Dish move much and certainly not from so close. Such a display of grace and power. That night we performed at the Dish Café with a great audience and the magnificent, flood-lit Dish overlooking our efforts. 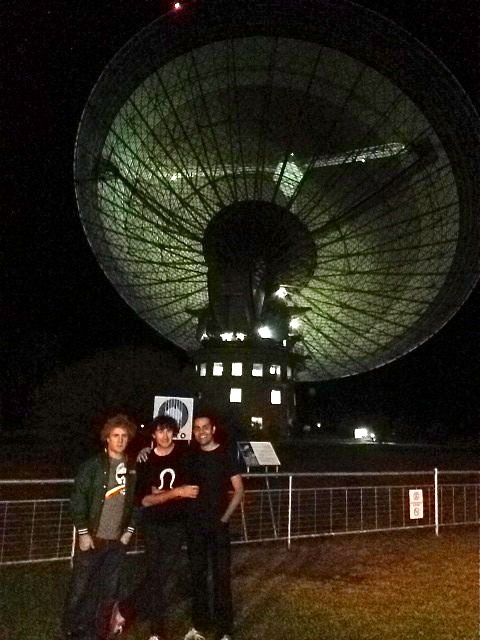 The next morning was our last at Parkes (this visit). As wrens hopped through the bushes and kangaroos sparred on the lawn, we indulged in one last glimpse of Dish painted by the sunrise. We have many people to thank including Chris for showing us everything, keeping us safe, being good fun and embracing Ologism-ness; Mal for letting us on site in the first place and indulging our technical needs with good humour; Craig for lending us his cafe and providing great food; Shirley for taking care of our accommodation needs and cooking yummy things; and David and Dan for letting us poke about while they were at work and telling us about their research. It all seemed to happen very quickly and we were reminded that Einstein’s thoughts on relativity support the notion that time flies when you’re having fun.